Travel is not without its own fair share of challenges you must overcome so that you and your friends or family can enjoy themselves as much as possible. 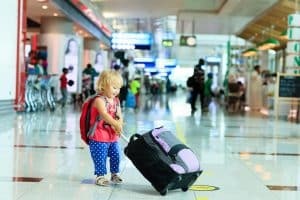 From stresses related to delays to language barriers, to even troubles with getting lost, a lot of the travel mishaps you can expect to face when traveling can be avoided simply by preparing. Start this preparation by following this guide so that the next time misfortune follows your trip, you can easily deal with it and carry on with enjoying your vacation. One of the most common issue that people experience when they are abroad is trouble with what they have packed. Very often, the problems experienced involve packing too much and struggling with the weight or how unruly your suitcases have become, or forgetting something important that you then either have to struggle without or buy again. In order to avoid packing mishaps, start planning what you are going to bring a month in advance. Keep track of what you use on a daily basis so that you don’t leave anything important behind. When it comes to flying to your destination and then back home, you could be unlucky and experience delays or flight cancelations. Such problems can cause discomfort, plus it could cost you money. The best thing you can do in such a situation though, is use what you are entitled to, such as food, drink, two free phone calls or emails, and if you’re delayed overnight, then free accommodation. Any late flight claims can be made if you have been delayed for more than three hours; this is only fair, considering you may be losing vacation time, missing connecting flights or having to reschedule business meetings. Picking up a SIM card at the airport or relying on free roaming can help you be more independent and confident abroad. The reason for this is that Google Translate, or other translation apps, commonly allow you to download a dictionary for offline use, which can greatly help your communication skills. Examples of these capabilities include text translation using your phone’s camera, to even live voice translation. The translations won’t be perfect, but understanding the gist of what is being said can help you navigate easily. Of course, you should also pack a book on the language of the country you’re visiting, as well as learn a few common phrases. For cities, relying on public transportation is often the easiest and cheapest option. Many cities like Seoul and Tokyo or Osaka offer travel cards where travelers can easily pick one up and put money on them. This can help you get from A to B. If you do need to rent a car, ensure you know the side of the road they drive on, along with any cultural differences you may be wary of; for instance, driving in certain countries can be erratic. Traveling can be stressful, but if you prepare well in advance and know your options, you can take the stress out of traveling and enjoy your trip instead.